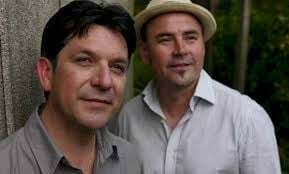 Chico con Tumbao is a Latin duo originally from Colombia and Chile who perform an array of styles from Latin folklore from the romantic bolero and the sensual bossa nova to the catchier cha cha cha, la rumba, el tango, la salsa and merengue – the list goes on without end. After years of performing in many Latin bands in Europe, Cuba, Colombia, Brazil and Aotearoa, now they have joined forces to delight you with the best of their experience. Description: Two lead vocalists, live guitar and percussion with either backing tracks and a third performer or even a fully live backing band with brass section and dancers.